We give a new, purely algebraic proof of McNaughton's theorem on infinite words, which states that each recognizable set X of infinite words can be recognized by a deterministic Muller automaton. Our proof uses the semigroup approach to recognizability and relies on certain algebraic properties of finite semigroups. It also provides a simple solution to the problem of finding a deterministic automaton for X when one is given a semigroup recognizing X. 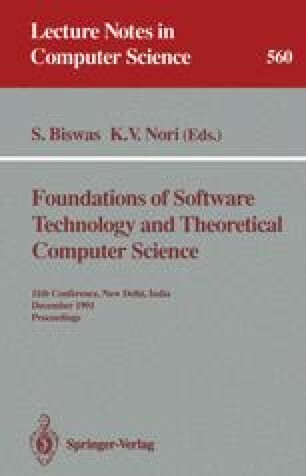 Research on this paper was partially supported by PRC “Mathématiques et Informatique” ESPRIT-BRA working group ASMICS.